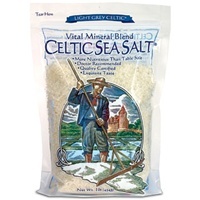 Celtic Sea Salt® Brand Fine Ground is the same type of salt as our coarser Celtic Sea Salt® Light Grey Celtic® variety, dried at a low temperature then finely ground. 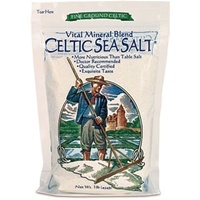 Celtic Sea Salt® Fine Ground has no additives and is not processed in any way beyond drying and grinding. 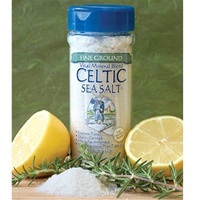 With a flavor subtler than that of the coarser variety, it is an all-purpose shaker salt convenient for use at the table or in baking. 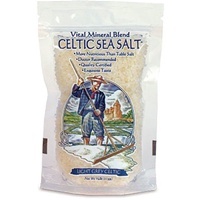 Celtic Sea Salt® Fine Ground is the perfect salt for the novice health buff, and is a great way to introduce friends and family to Celtic Sea Salt® kosher fine ground sea salt.